Aloe vera juice is one wonder potion that is a powerhouse of various health benefiting properties. It is a gooey, thick liquid which is extracted from the flesh of the aloe vera plant leaf. Aloe vera juice is one wonder potion that is a powerhouse of various health benefiting properties. It is a gooey, thick liquid which is extracted from the flesh of the aloe vera plant leaf. This drink can come to your rescue in hot summer days when the issue of sunburn is at its peak. Its cooling properties can help treat sunburn to a significant extent. Apart from this, consumption of aloe vera juice may also aid weight loss. 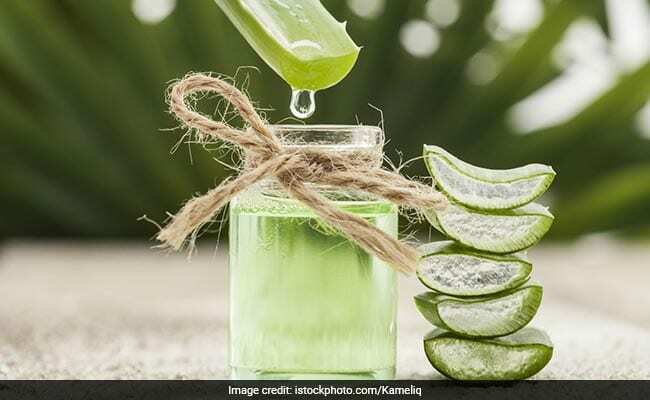 According to Macrobiotic Nutritionist and Health Practitioner Shilpa Arora, "Aloe vera tends to cleanse the intestines of old sludge and throws it out of the body. This leads to better absorption of nutrients from food and fewer cravings. However, make sure that you use organic aloe vera which is free of preservatives and unnatural sugars." Here's a list of five amazing benefits of aloe vera juice that can do wonders for your overall health. Aloe vera juice helps treat intestinal issues and keeps the problem of indigestion at bay. Since the juice is easily absorbed by the stomach, its laxative component lessens yeast formation and encourages good bacteria in the gut. This wonder potion has the power of flushing out toxins from the body. Its laxative properties can clear the ingested toxins from the digestive system to a considerable extent. After the detoxification process, the nutrients are better-absorbed from the food consumed resulting in fewer cravings. Hence, it is said to be linked with weight loss. Aloe vera juice has anti-inflammatory properties that could keep a lot of skin problems at bay. Apart from this, it can also help provide relief from joint immobility as well. Consumption of aloe vera juice could possibly boost your overall immunity to a significant extent. Its extract is rich in micro-nutrients that help fight against free radical damage in the body.